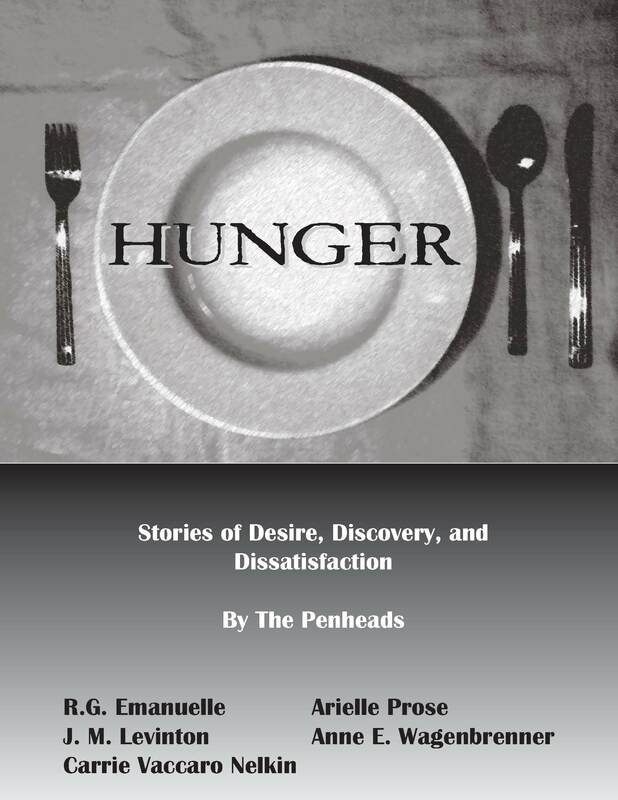 Two years ago, my writers’ group, The Penheads, released their first anthology, called Hunger: Stories of Desire, Discovery, and Dissatisfaction. Now I’m happy to announce that we’ve released our second volume. 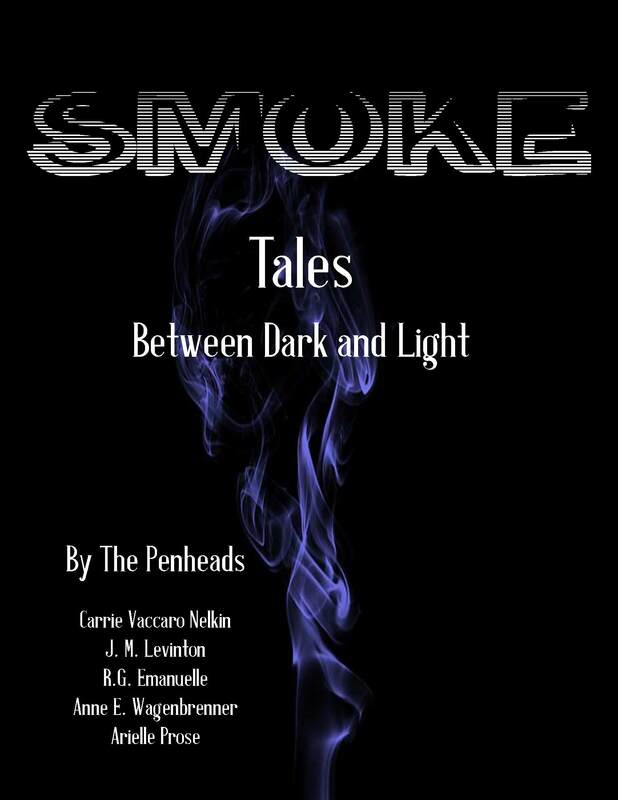 This one is called Smoke: Tales Between Dark and Light. When we conceived this theme, we wanted something that could cover a broad spectrum of emotions, story lines, and characters. The reason for this is quite simple: we are a group of five very different writers. We like to write about different things and in very different ways. Smoke seemed like the perfect idea because like people’s ideas, it is strong when present, but can be fleeting, and can mean so many different things. We’re glad you decided to check out our tenebrous world. A subtly frightening tale. In the sinister world of our first story—Carrie Vaccaro Nelkin’s The Bar at the End of the World—a grieving husband tries to cheat death, and finds that a horrifying price must be paid. A mystery within a dream. In J. M. Levinton’s In the Smoke, a young man who is being tortured by a haunting receives help from entities usually perceived as evil. An Olympic-class athlete finds love. Next we turn from the dark side to the snow-covered mountains of Colorado. In Making Tracks, by R.G. Emanuelle, Ronnie, a young woman who has come to Colorado to train for the World Skiing Championships, befriends dark-eyed, kind-hearted Dee, and quickly falls for her. Too bad Dee is straight…. Is this a date, or not? In our fourth offering, Anne E. Wagenbrenner’s Litmus Test, it’s Valentine’s Day, and two lesbians from Astoria, Queens, are on their first date. But when Lydia arrives at Catherine’s home, she does a sudden about-face, saying that they are only friends. Catherine, who is smitten with Lydia, is taken on an emotional roller coaster ride as Lydia reveals, little by little, how her own ghosts and demons—this time, the psychological kind—have scared her straight. Was it enough? In our final story, Arielle Prose’s Still Secret Silence, we visit a couple at the beginning of their relationship, and then again after retirement. Hearing their separate thoughts, we find, in this story, a picture of marriage: its dissatisfaction, its anger, and its comfort. We hope you enjoy our tales of horror, as well as our tales of love. In both, our characters seek to find the thing that will bring them peace or joy, often as ephemeral and elusive as a cloud of smoke—and just as difficult to grasp. With such a diverse collection of stories, there’s bound to be something everyone likes. And who knows, maybe you’ll like all five of them. I hope you’ll join us on our journey through the haze with Smoke. Woo! We sold one copy! LOL Seriously, thank you.